Remember when you were a child and you thought that getting a dog meant all play and cuddles? Then you became an adult and realized that having a dog is all play, cuddles, and lots of responsibility. One of the biggest commitments to your dog, that you may not have realized before, is their daily exercise. 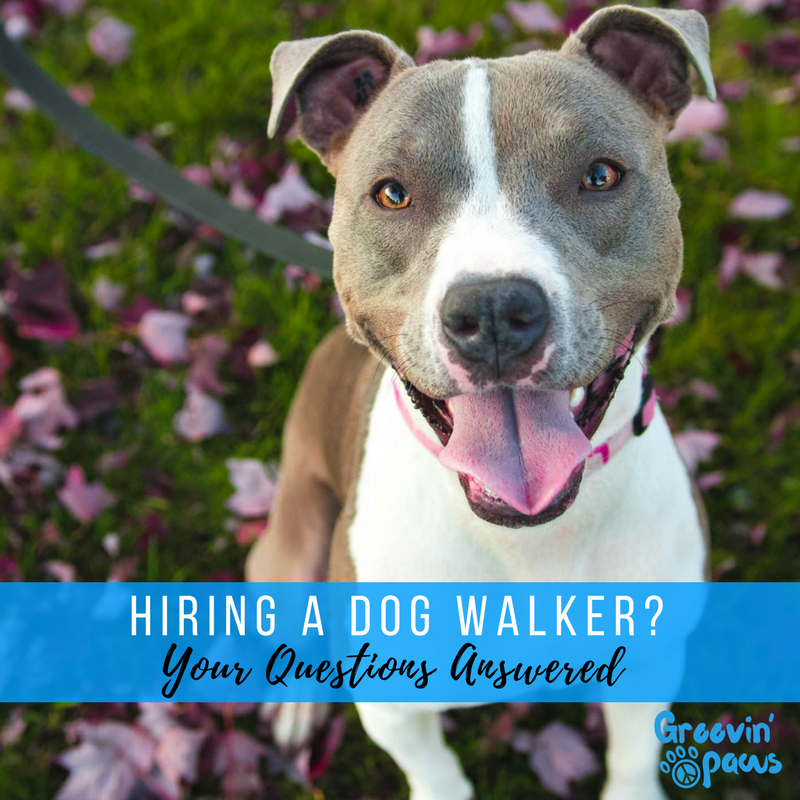 In this article, we will answer the questions you have about hiring a professional dog walker in Mt. Pleasant, SC. Q: Hobbyist vs. Professional: Which is best for you? Someone who typically does dog walking and pet sitting as a way to spend some time with pets and earn some extra mula ($$). They are most likely neither insured nor available full time. You can usually find them through apps such as Nextdoor, Rover, and Wag! It is possible that they may have a Facebook page but not an official website. A company that is legally registered as a business. It is insured, licensed, bonded, and has an official website. It has a system in place that makes the process for clients very smooth. Typically they will have an online booking system that will allow you to conveniently request and pay for your services. Ideally, they will have a free app that will allow you to receive pictures and updates on your mobile device so you can see your pup while you fulfill other obligations. You can often find a professional dog walker in your area by typing “dog walker” into a Google search. Explore and see which company would be the best fit for your pup! Q: How Long Is Each Dog Walk? A typical dog walking visit can last anywhere from 20-45 minutes. However, each dog is very unique, so every walk is specifically catered to your dog’s needs. You know your dog best so your dog walker should be able to accommodate your dog's needs. Some dogs need more exercise than others, and some dogs just want some fresh air and lots of belly rubs. Regardless of your dog’s activity level, every visit should leave your pup feeling relieved and happy! Q: How Can I Trust A Dog Walker? Trust is the most important component when it comes to letting someone in your home and caring for your dog. If you decide to hire a hobbyist dog walker, be sure to ask for multiple references, and their experiences with caring for dogs. If you choose to hire a professional dog walker, they should be licensed, insured, and bonded. They should also have a system in which you are notified after each visit and have trained professionals to care for your dog. Did you know that a professional dog walking company has employees? This is a big deal when it comes to trust, because every employee will be pet CPR certified, will undergo an extensive hiring process, will be involved in on-going pet education, and will be covered through the companies insurance and workers compensation. Q: Will My Dog Get a Walk When it’s Raining? Living in the Charleston area, we are not shocked when it rains. In fact, we have many rainy days! If your dog normally goes for walks when it’s raining, then we will walk! Just give your dog walker a heads up that your dog doesn’t mind the rain, and we will throw on a raincoat and boots and get to walking! However, if that’s not the case and your dog would rather go for a quick potty break and spend the rest of the time playing inside, let your dog walker know that, too. Pro Tip: Always leave a towel in an easily accessible location so that your dog walker can dry those paws after playing in the rain! Q: How Do I Know That My Dog Went for a Walk? Transparency is key when building relationships with you and your dog walker. A professional dog walking company will have a software program and will send you updates during or after your scheduled visits. Each update will include a picture of your dog and a detailed report about their visit. In addition, office managers make sure that each walk is completed daily through an online portal. Q: Can My Dog Walk Off the Leash? Mt. Pleasant has strict rules on keeping all dogs on leash for the safety of your pets and other residents. The only time your dog will be off leash is in your home or if you have a gated backyard. Q: How Much Does Daily Dog Walking Cost? Dog walking services vary in price depending on who you choose. Hobbyist dog walkers can charge around $9-$15 a walk. However, if trust and reliability are most important you will want to consider hiring a professional dog walking company. Rates can depend on how many pups you have and the services you are looking for. They can run anywhere between $20-$30 a walk. Q: How Can Groovin’ Paws Dog Walking and Sitting Help You? One of our most popular options is a mid-day, weekly walk for dogs whose parents work long hours. This option is great because it will give your dog a break throughout their day, will stimulate them mentally and physically, and will allow them to go potty and poo. Be sure to ask about our frequency discounts! Do you have a question we didn’t answer? Are you ready for quality care for your pet? Contact us today to become part of our Groovin’ family! New clients who mention this blog will receive a $10 credit toward your first walk.